Buy your SOARS kit for $2580.00. Continually evolving and advancing aviation occupant safety requirements need the most advanced restraint systems to meet compliance. 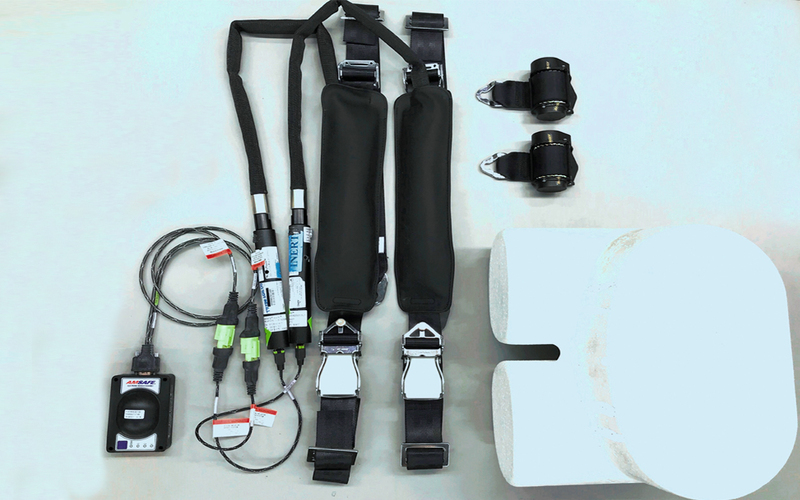 The AmSafe Seatbelt Airbag System is used in commercial aircraft to protect occupants from impact with bulkheads, monitors and forward seat structure. 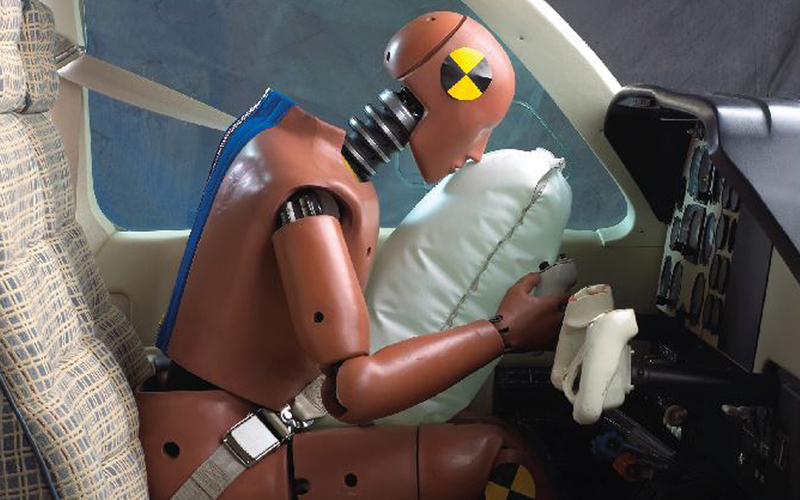 Business Jet and high end turboprop aircraft use the seatbelt airbag system to protect pilots, co-pilots and passengers. The SOARS system can be used in general aviation aircraft in the pilot, co-pilots seat to protect occupants from impact with glare shields, instrument panels and control yokes, during a significant longitudinal deceleration or impact. 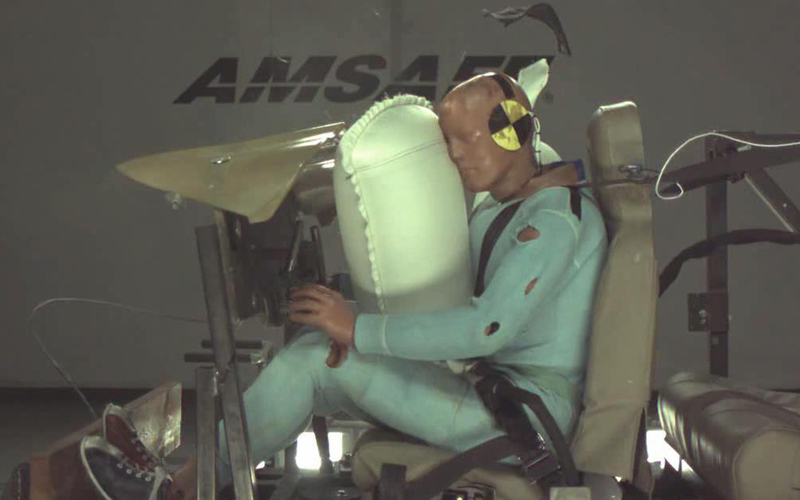 The AmSafe airbag system maintains an extremely high reliability standard against inadvertent deployment and failure to deploy when in operation. 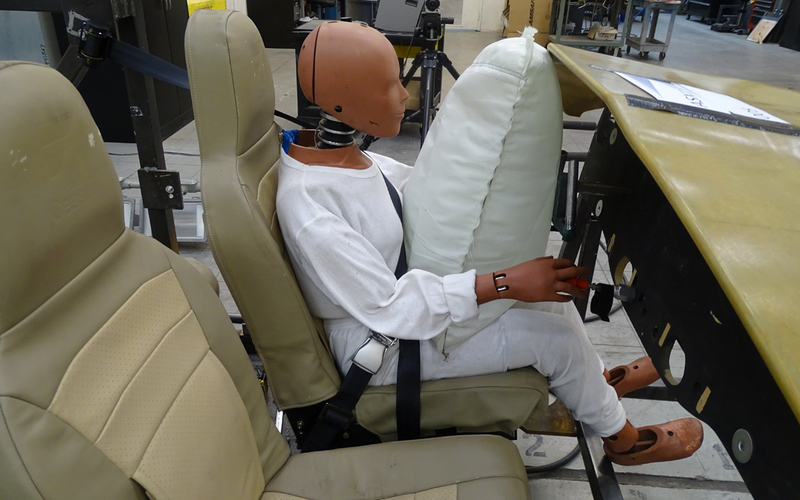 When the sensors detect an impending incident, the seatbelt airbag deploys up and away from the seated passenger – and provides protection to the head, neck and torso. The AmSafe Seatbelt Airbag helps meet the 14 CFR Part 23 Normal Category requirements for pilots and passengers general aviation pilot/co-pilot seats. The system provides the additional safety and improved occupant protection needed in a survivable impact.